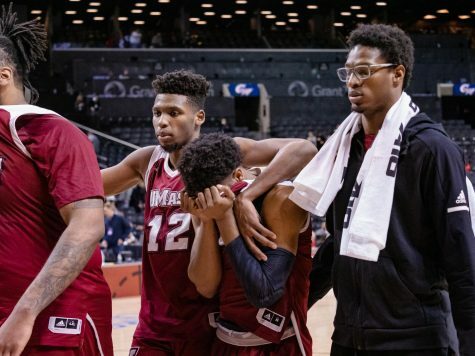 After some tough losses, the Massachusetts men’s basketball team needed a win to keep its postseason hopes alive. 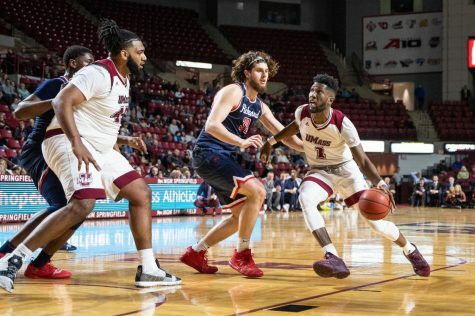 On Saturday afternoon at the Ryan Center, the Minutemen (14-11, 6-6 Atlantic 10) fought off rival Rhode Island, 66-60, to complete a series sweep against URI for this season. 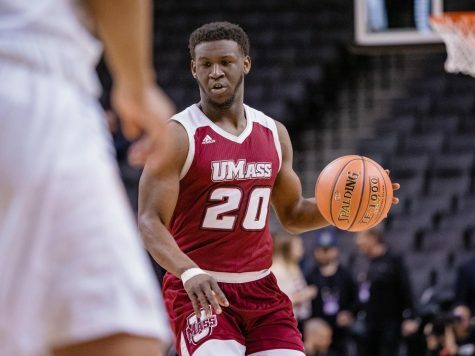 The Minutemen returned to form against the Rams (16-10, 7-5 A-10) with guard Anthony Gurley (16 points, 10 rebounds, five steals) reclaiming his spot as the top point scorer for UMass. In his previous two games, Gurley was limited to single-digit scoring. Raphiael Putney and guard Gary Correia all netted 11 points. Gurley did some hard work defensively as well with nine rebounds on the defensive end and acted as a shield that held URI to 1-for-19 shooting from beyond the arc. 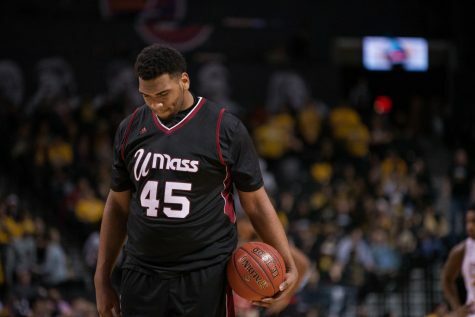 UMass got a lot of its work done in the second half. Heading into the second period down 31-23, it was heading towards another grim result for a team that started the season at 7-0. 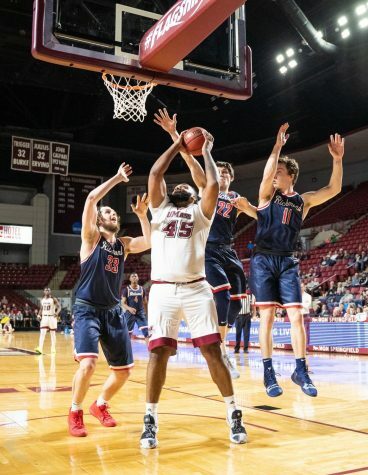 However, the Minutemen went on a 23-6 run to leap over the Rams, as they outscored URI, 43-29, in the second half. 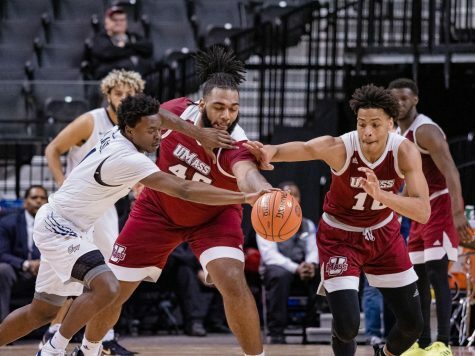 Much like previous games between the two rival schools, the 46-39 lead by UMass was diminished by URI’s tenacious offense which included Delroy James (15 points) and a trio of other double-digit scorers. 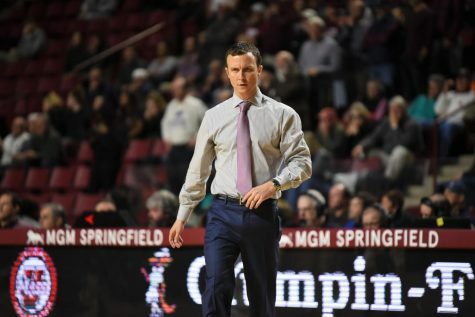 The Minutemen caught a stroke of luck with URI missing key free throws down the stretch, which secured the victory for the Maroon and White. 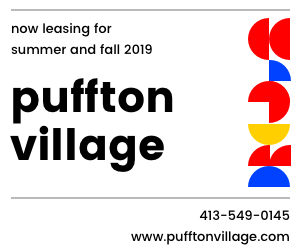 Putney combined with freshman Jesse Morgan for some relief off the bench, with Morgan netting a 3-pointer to top off the run. 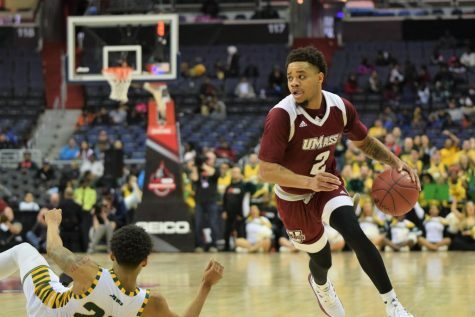 Putney, who scored 10 against the Dukes, continued to impress the UMass roster with his athleticism and swift scoring in games. By having Morgan and Putney coming off the bench, it seems the Minutemen have found a viable option for having one true point guard on the bench, giving Correia some rest. “It really takes us to another level to have Jesse and Raphiael playing at the level that they are right now,” Gurley said. 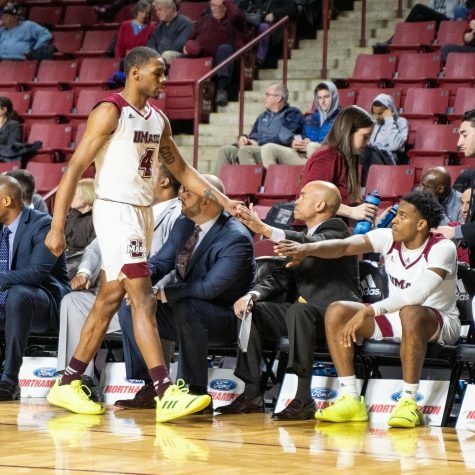 Similar to previous UMass games this season, the first half was a sight to turn away from as both teams combined for 1-for-20 from beyond the arc, with the sole made 3-pointer coming from Morgan. Carter highlighted the first half with eight points and played with a high amount of energy that impressed Kellogg. 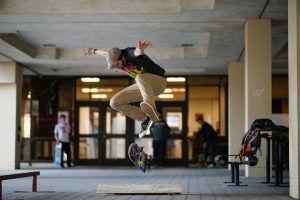 “He at least had some energy and passion and enthusiasm and bounce to his step,” Kellogg said. Enthusiasm and passion seemed to be a goal for all the players to reach against the Rams, as the team held a players-only meeting to help inspire the ailing Minutemen. “We all said we just got to come together and stay strong as a family,” Gurley said. 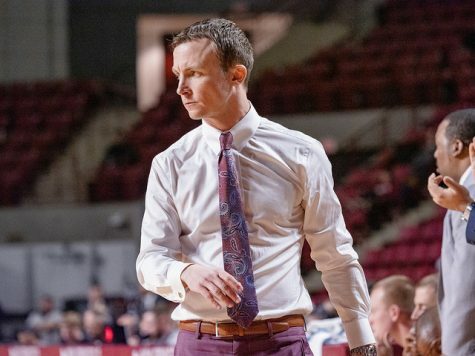 Whether they continue to play well or struggle down the stretch, Kellogg at least wants his players to find the true meaning of the game and not get discouraged. “Walk out there with a smile on your face, let’s enjoy, let’s at least have fun playing,” Kellogg said.